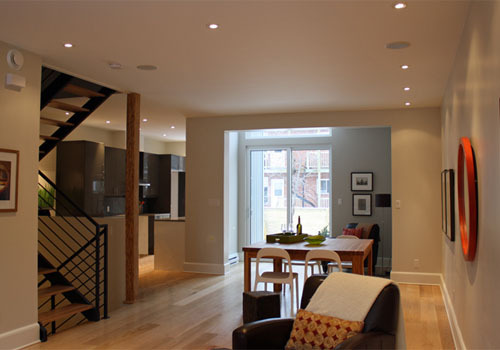 Duncan Morrison of DHMR Renovations, is creating exciting homes in Montreal. Whether renovating homes for clients or redeveloping passed-over buildings, DHMR consistently delivers high quality craftmanship. They turn homes into light-filled, green, healthy, buildings, with great wide open spaces and wonderfully modern features. I’ve had a blast working with Duncan to redesign his company branding, logo, website, and print material, and even staged one of his properties!